Four Simple Steps to Keep Dark Spots Away - Project: Me! When you get lots of sun time, the exposure triggers the over-production of melanin, the substance responsible for skin darkening. Without protection, staying under the sun will make your skin darker. The chances of having those annoying brown spots taking a permanent residence on your skin increases significantly the longer your skin gets exposed to the sun. If sun exposure cannot be avoided, make sure you use high SPF lotions, wide-brimmed hats and sunglasses to protect your skin. If possible, try to limit the time spent outside during the hours when the sun really gets into your skin. Water provides moisture for your skin. And I am talking real water. Not powdered juice, not soda, only water. Aim for at least 8 glasses of pure H2O. Your body will thank you for it. Your skin will be softer, healthier, it will literally glow! Fine lines will also disappear! of fine lines will be diminished considerably. What you eat has a great impact on the way your skin looks like. Garbage In equals Garbage Out. Eat food rich in vitamins, minerals, fibers, amino-acids, and carbohydrates. This will ensure that you are healthy, resulting to a healthy, glowing skin. Your skin is the mirror of your body. If you are not feeling well, you really have dry skin, right? Some brown spots or skin hyper-pigmentation are caused by problems inside the body, such as hormonal imbalance. Taking these four simple steps and incorporating them into your daily routine will help you achieve flawless, spotless skin. If dark spots are troubling you, try this simple, cheap and safe natural skin spot remedy. You will see how, only with the help of this fruit, the dark spots will vanish in just a matter of weeks and your skin will be radiant and spotless once again! And if you want a program that covers ALL the natural ways to make your skin lighter and more beautiful, try this program. It is 100% natural and completely safe! « SPOTTED ON LAZADA: Samsung S6 now available at Lazada.com.ph! 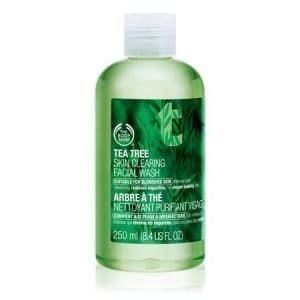 What do you know about tea tree oil?